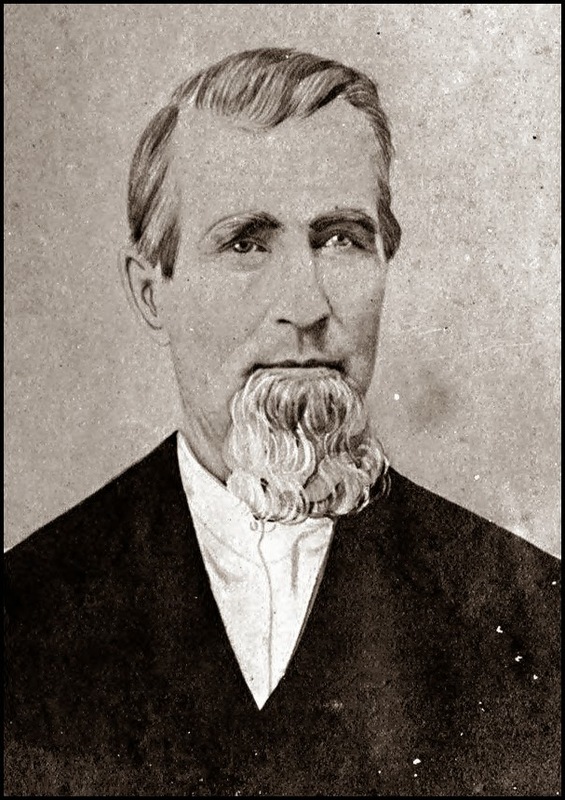 Alfonso Parcutt Steele was born in Hardin County, Kentucky on April 9,1817. 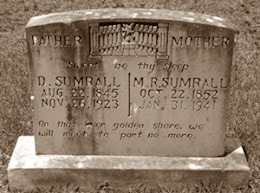 He was born to the marriage of Stephen Parcutt Steele and Susannah "Susan" McCarty. 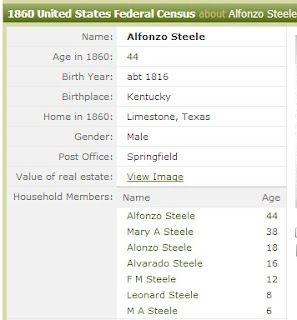 Alfonso was the first son and second of ten children born to Stephen and Susan Steele. 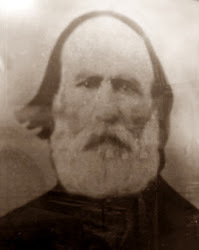 In 1835, Alfonso Steele joined Captain Ephraim M. Daggett's company of volunteers in Louisiana and traveled with the company to Texas to aid in the Texas revolution. 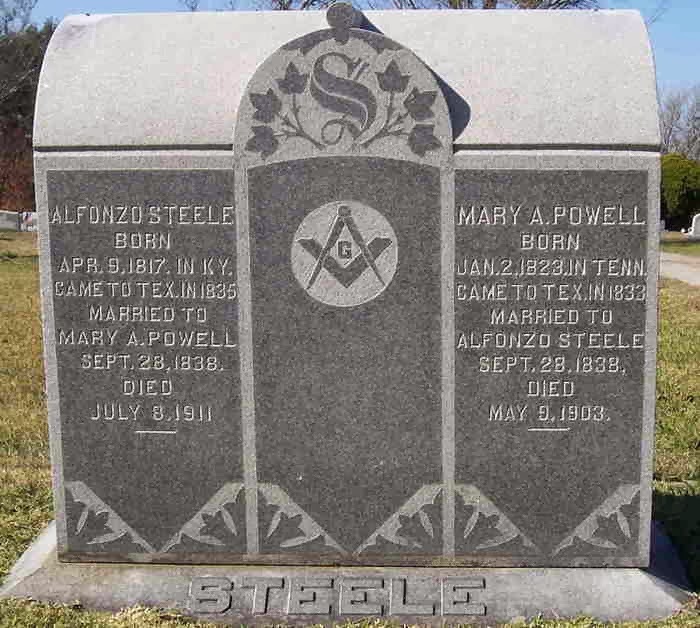 On September 28, 1838, Alfonso Steele married Mary Ann Powell in Montgomery County, Texas. 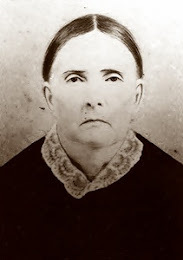 Following their marriage in 1838, Alfonso and Mary Ann Steele made their home in Montgomery County where Hampton, Alonzo and Rado were born. 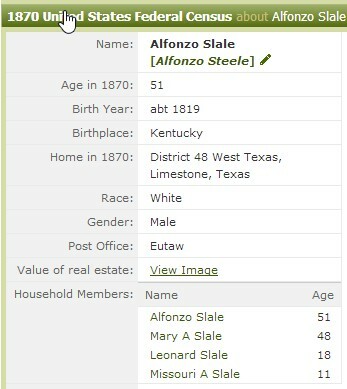 Alfonso, Mary Ann, Hampton, Alonzo and Rado Steele moved from Montgomery County to Robertson County, Texas. Robertson County later became part of Limestone County. 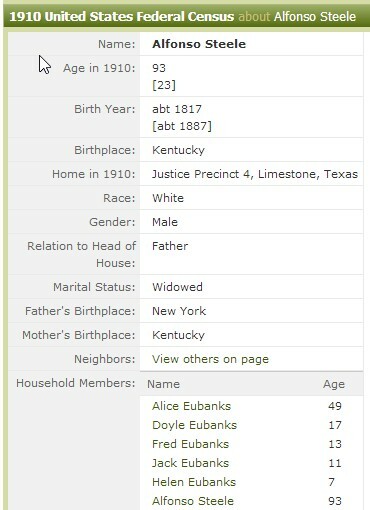 The 1850 U.S. Census shows the family living in Precinct 1, Limestone County, Texas. 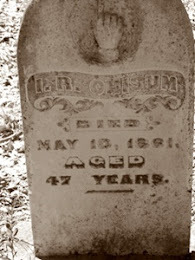 By 1850, their son Frank had been born. 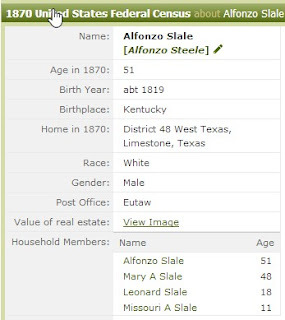 Note also that Alfonso's father, Stephen, was living with the family at the time. 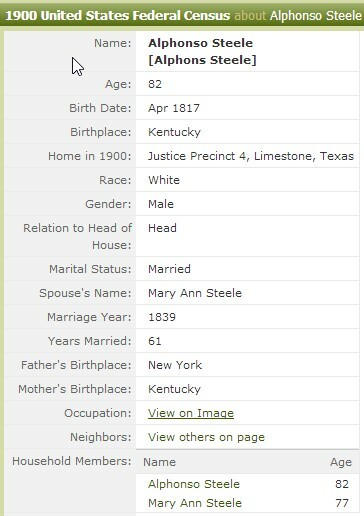 The 1860 U.S. Census shows the family living near the Springfield post office in Limestone County. 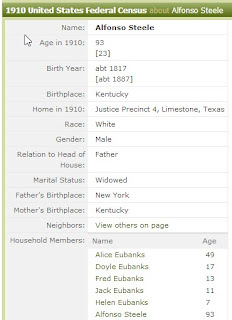 Hampton has married and is no longer living at home. 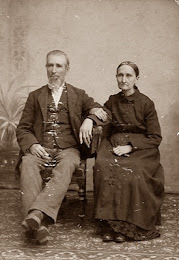 Leonard and Mary Ann "Molly" were born in 1851 and 1854, respectively. 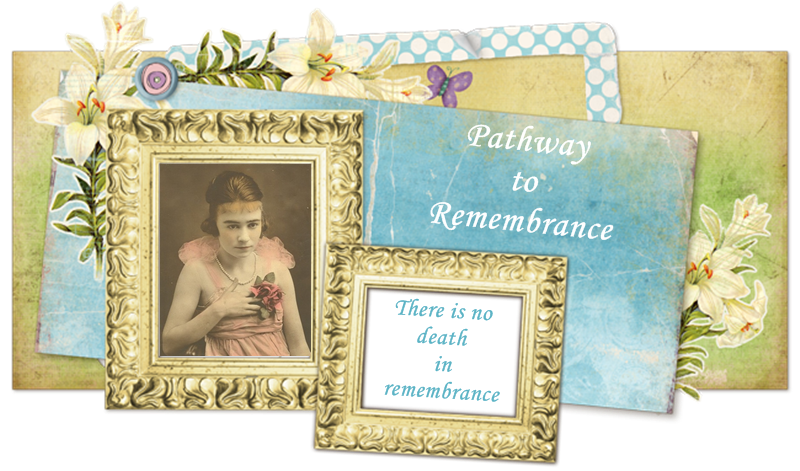 By 1870, Alfonso and Mary Ann had another child, Missouri Alice, who was born in December of 1860. Leonard is also shown living with his mother, father and sister. The 1880 U.S. Census shows Alfonso, Mary Ann and a grandson living in Limestone County, Texas. 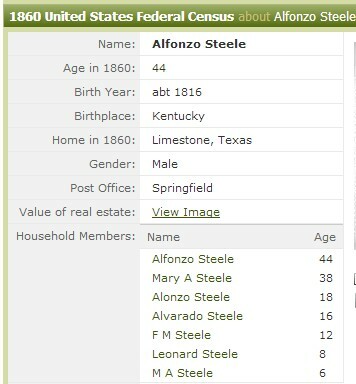 The 1900 U.S. Census shows Alfonso and Mary Ann Steele living in Limestone County, Texas. 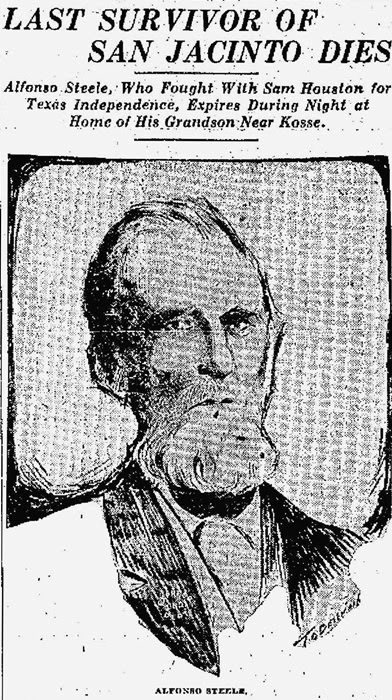 An April 11, 1909 article in the Galveston Daily News shows Alfonso celebrating his 93rd birthday in the home of his daughter, Missouri Alice Steele Eubanks. Mexia, Tex., April 10--Mr. Alfonso Steele, the sole survivor of the battle of San Jacinto, celebrated his 93rd birthday yesterday at the home of his daughter, Mrs. T. Eubanks, at Forest Glade in this (Limestone) county. 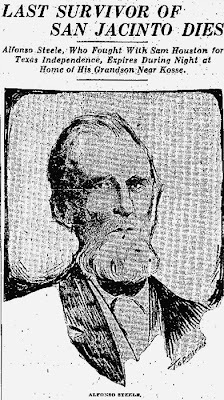 The following interesting history in Col. Steele's family was gathered today: The first of his original family (himself and wife), 2; children, 11; grandchildren, 66; great-grandchildren, 83; great-great-grandchildren, 12. Total, 174. 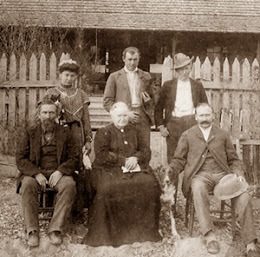 By 1910, Mary Ann Powell Steele has passed away (1903) and Alfonso is shown living with his daughter, Missouri Alice Steele Eubanks, and her family. Alfonso is buried alongside his wife, Mary Ann, in the Mexia City Cemetery, Mexia, Limestone County, Texas. 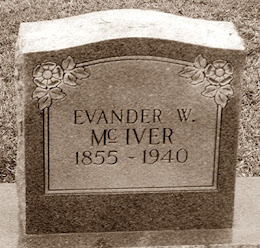 Tombstone photograph was taken by FindAGrave member and descendant, Catherine. 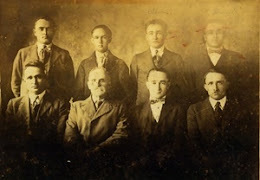 Alfonso Parcutt Steele was my great-great-great grandfather through his son, Francis Marion "Frank" Steele; grandson, Isham Alfonso Steele; great granddaughter, Mary Allye Steele Edmonds; and great-great grandson, Bruce Alfonso Edmonds.